Indigo Creek is a classic Lowcountry designed Myrtle Beach golf course in Murrells Inlet, South Carolina. Renowned golf course architect, Willard Byrd, made perfect use of this beautiful former indigo plantation with its unparalleled scenic vistas that feature centuries-old oak trees, towering southern pines and pristine lakes. This 18-hole Myrtle Beach golf course favors strategy and positioning off of the tee over length, as its tight fairways wind through strategically placed bunkers and water hazards. The beautiful scenery and abundant wildlife make this Myrtle Beach golf experience one to be remembered. Indigo Creek offers several tee boxes to allow each golfer to choose the best one for them. Myrtle Beach lady golfers especially like Indigo Creek for its “Lady friendliness”. 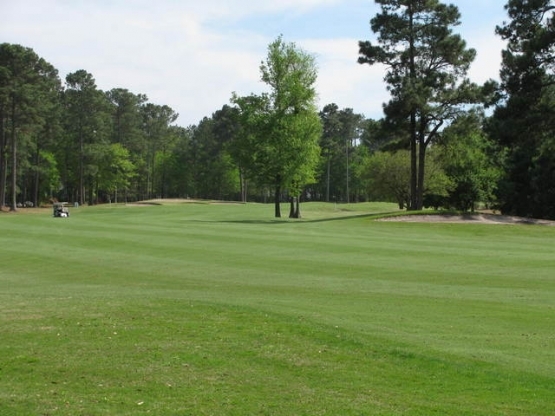 Indigo Creek Golf Club would be the perfect Myrtle Beach golf course to include on your next Myrtle Beach golf vacation. If it is value you are looking for, you may want to check out Myrtle Beach golf packages, as these packages can give you the biggest “bang for your buck” on Myrtle Beach and North Myrtle Beach accommodations as well as the very best pricing on Myrtle Beach and North Myrtle Beach golf. Would you like to improve your golf game? Check out one of the world class golf instructors and take a Myrtle Beach golf lesson. Book your Myrtle Beach golf package today!